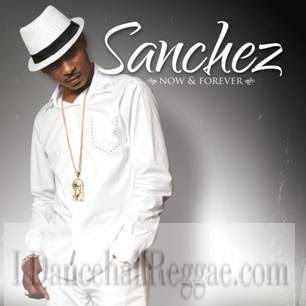 iDancehallReggae.com::Caribbean Lifestyle Media::: Buzz: Sanchez set to drop new album "Now and Forever"
Buzz: Sanchez set to drop new album "Now and Forever"
Caribbean Lifestyle Media-Sanchez is back at it again with a new album titled "Now and Forever". The entire album has 15 new Sanchez tracks and was produced by Donovan Germain of Penthouse Recordings. The first single from the album is titled "Longing to come home" and is below for your listening pleasure. The tune is on the "Protect and Serve" Riddim and promise to be a chart topper for Sanchez. The album is scheduled to be released on February 10th, 2010. Born Kevin Anthony Jackson, Sanchez grew up in the Stony Hill and Waterhouse sections of Kingston, Jamaica. Like many of the island's vocal legends, his first singing experience was in church; specifically St. Catherine parish's Rehobth Epostlic Church. Sanchez is a Reggae legend and is known for remaking various hit songs. His gift for crooning romantic lyrics over hard edged dancehall riddims has earned him numerous hits throughout his career. Spanning over two decades, 15 plus albums and legions fans; the veteran recording artist and consummate performer is back.